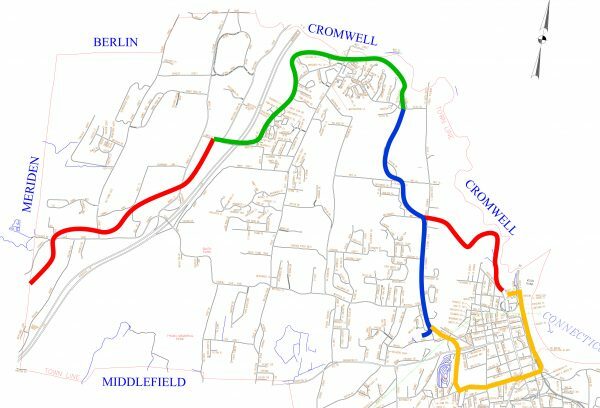 Coming eastward from Cheshire, bicyclists could reach the extremely scenic Air Line Trail in Portland and continue for 25 additional miles to reach Willimantic and reconnect with the East Coast Greenway. Most important for Middletown itself, this connector trail would also be a boon to bicycle transportation in the city, providing a continuous route from downtown Middletown to the commuter rail hub in Meriden, passing through the Westlake residential area and the Industrial Park Road commercial district. The Jonah Center has initiated conversations among the Lower CT River Council of Governments (RiverCOG), the City of Meriden, the City of Middletown, the Town of Portland, and the Town of Cheshire to start cross-boundary communication, build support, and advance this idea. The project appears very promising not only because it would complement the Connecticut section of the East Coast Greenway, but because it would result in a 125 mile loop trail in central Connecticut, passing through Meriden, Middletown, Portland, East Hampton, Willimantic, Manchester, Hartford, Bloomfield, Simsbury, Avon Farmington, Plainville, Southington, and Cheshire. 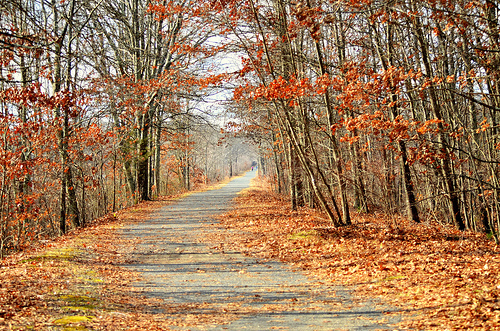 To view this entire loop, click here: East Coast Greenway & Air Line Trail Loop overview Such a loop trail would be a boon to bicycling in Connecticut and bring visitors to the communities along the entire route. This entry was posted in Viewpoints by John Hall. Bookmark the permalink.